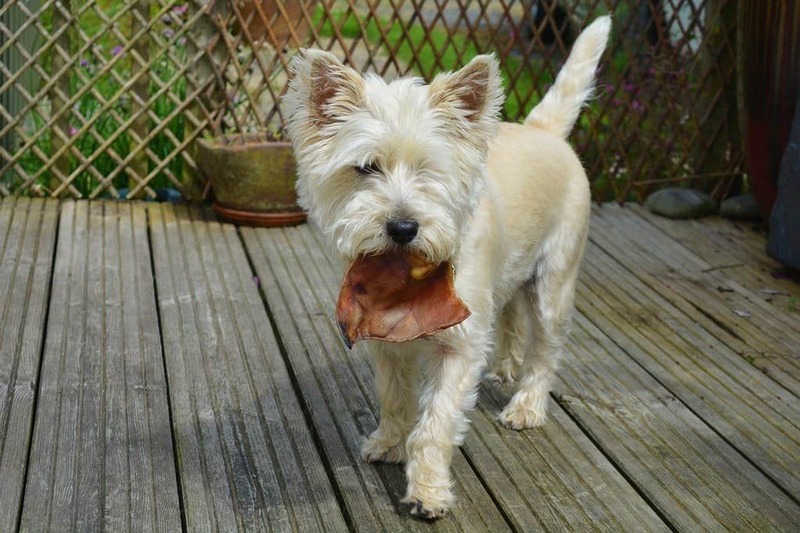 Why Does Your Dog Need High-Calorie Food? Which is Better for High calories? Canned or Dry? 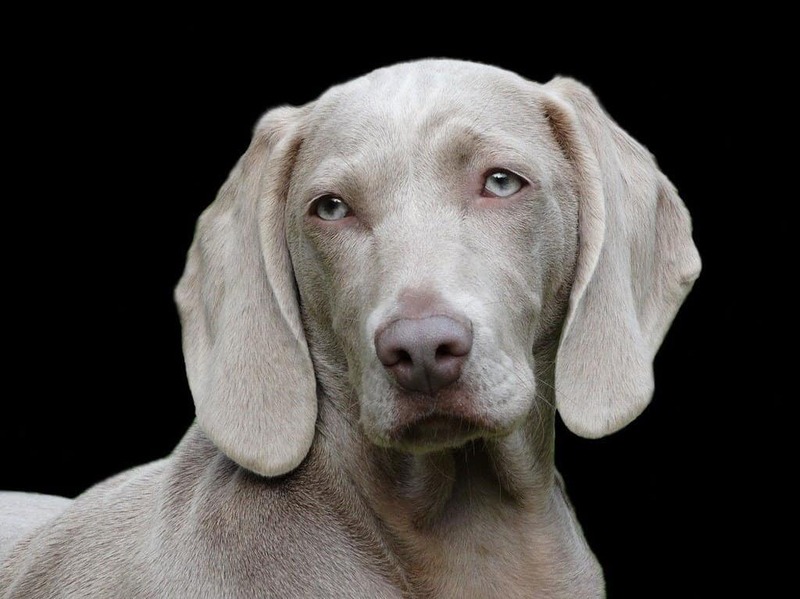 What if Your Dog is Hypoallergenic? 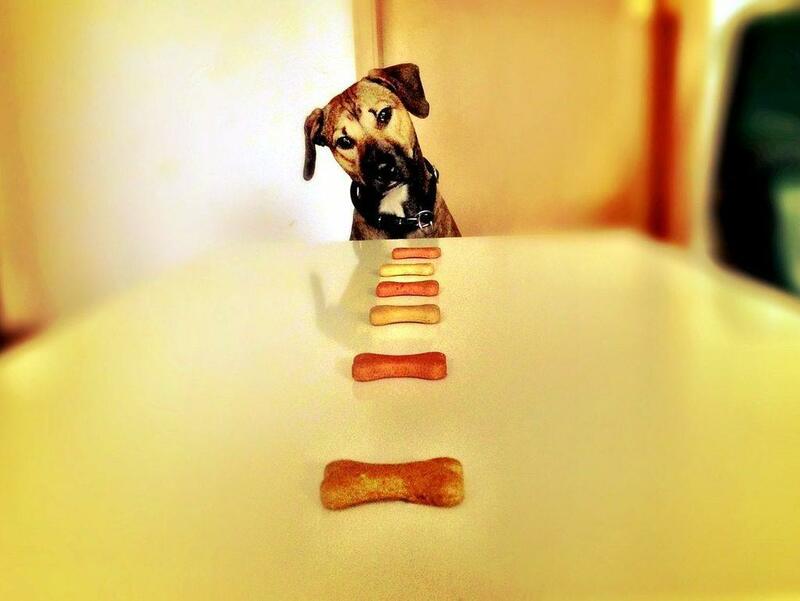 Are High-calorie Dog Treats available? 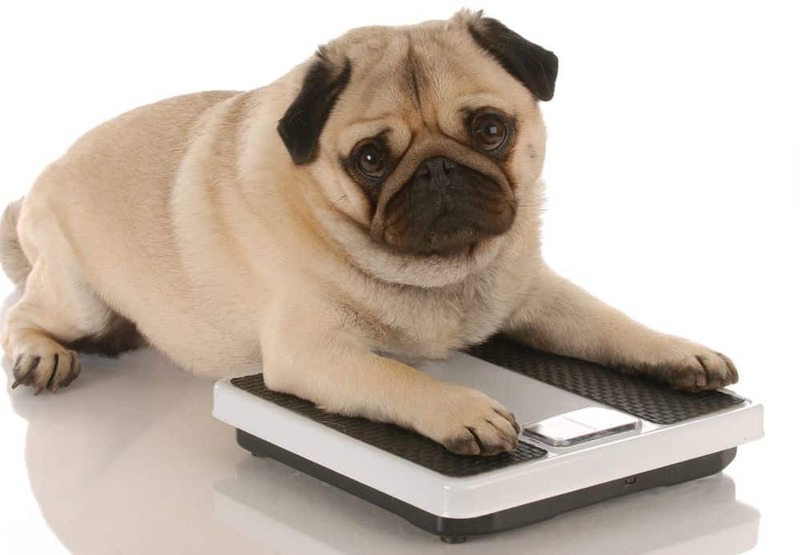 Are you looking to help your dog gain weight? If so, you should first consider changing its diet to food with more calories. Most dogs nowadays have to lose weight more often than gain it, which is why high-calorie foods are a bit tricky to find. Online pet stores usually don’t show any results if you were to search the exact term. It’s easy for dogs to be overweight now more than ever since there are many commercial foods available. For this reason, high-calorie food isn’t something you’ll find as easily as other weight management foods. 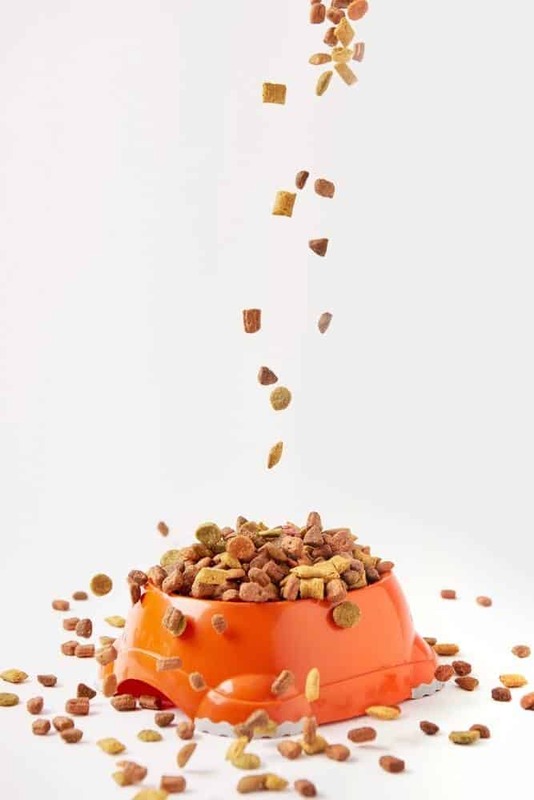 In the article below, you’ll find a buyer’s guide to help you choose the best high-calorie food for your pet. We’ll also discuss the best that are currently on the market, all the critical details about each product, as well as answer some popular questions. 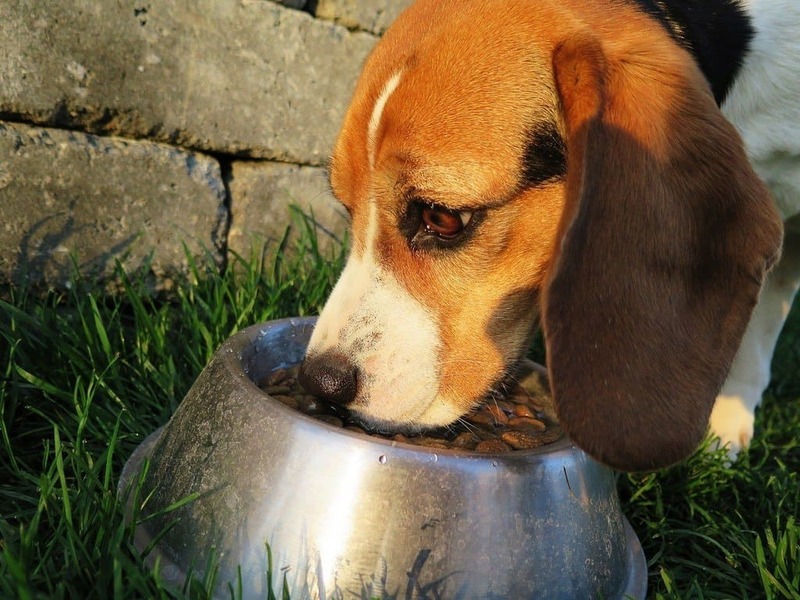 Your dog needs high-calorie food if it’s underweight. How could you tell? It’s important to take a look at it from the side to see if you can notice the dent between its hips and ribs. If you look at it from the top, do you think their back look skinny? The hound may be underweight if you can easily notice ribs and spine. Another thing that might point to underweight is lack of energy and interest in self-grooming. 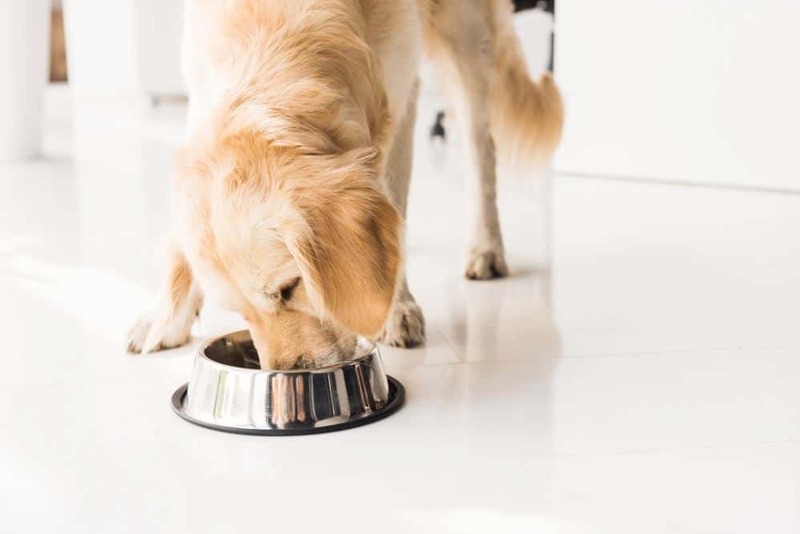 Does your dog eat all the food? Some canines are picky eaters and might lose weight if they don’t like what you’re feeding them. Though this isn’t such a big issue, it might grow to be more severe if you don’t notice it in time. The best thing to do is find high-calorie food that they like. Also, pups that are overly active need more calories to help them maintain their weight level. 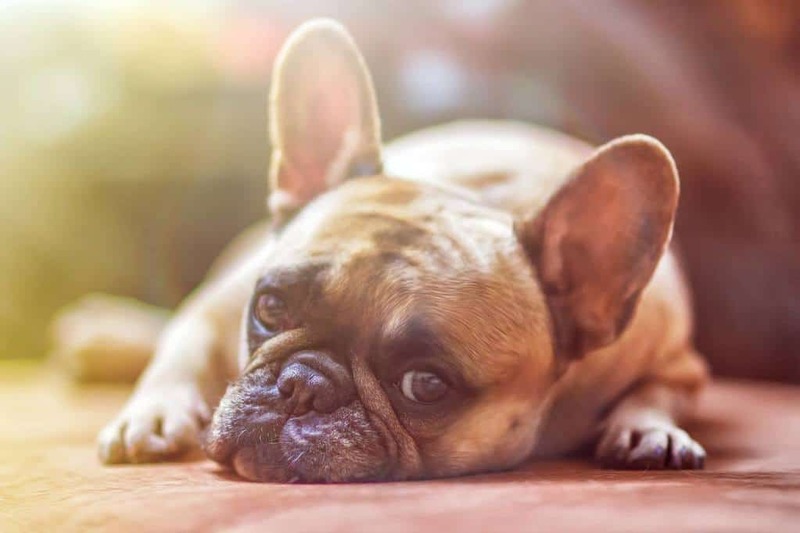 Pups that suffer from specific health issues might also lose weight. Conditions such as internal parasites, cancer, gastrointestinal problems, and dental issues all cause increased loss of weight. Senior hounds also tend to lose lots of weight and muscle tone. In this case, foods rich in calories and protein can be helpful. 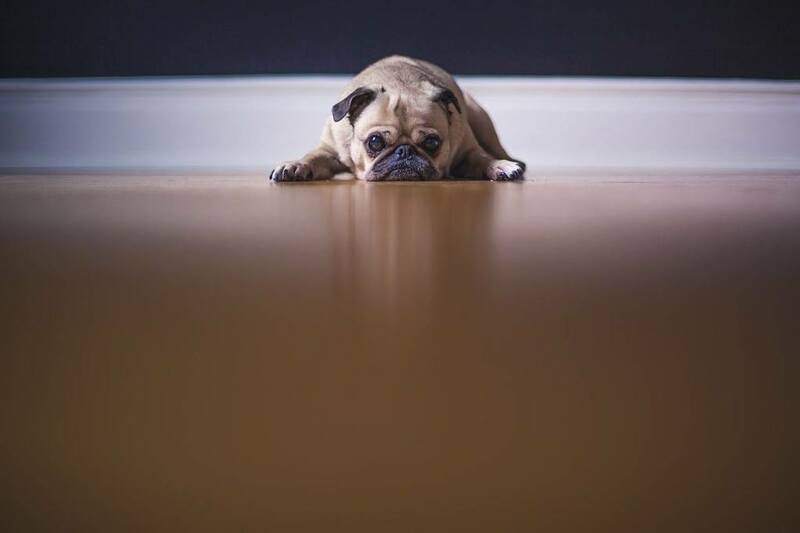 Now if your pet is overweight and has kidney problems, then you probably want to give them a low protein diet. 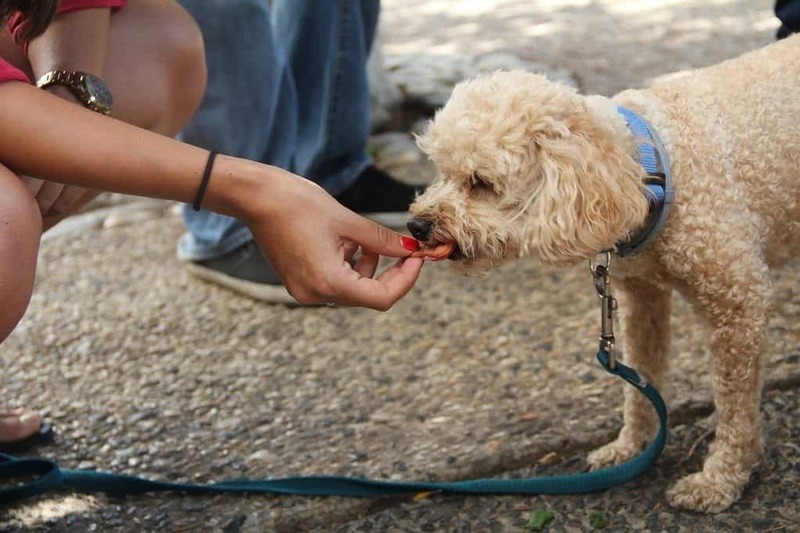 Though it seems very simple, it’s more than just feeding your pooch with more calories. You have to know how to do this in the safest way, and your veterinarian is the best person to help you. After all, vets know all do’s and don’ts and will give you the best advice. 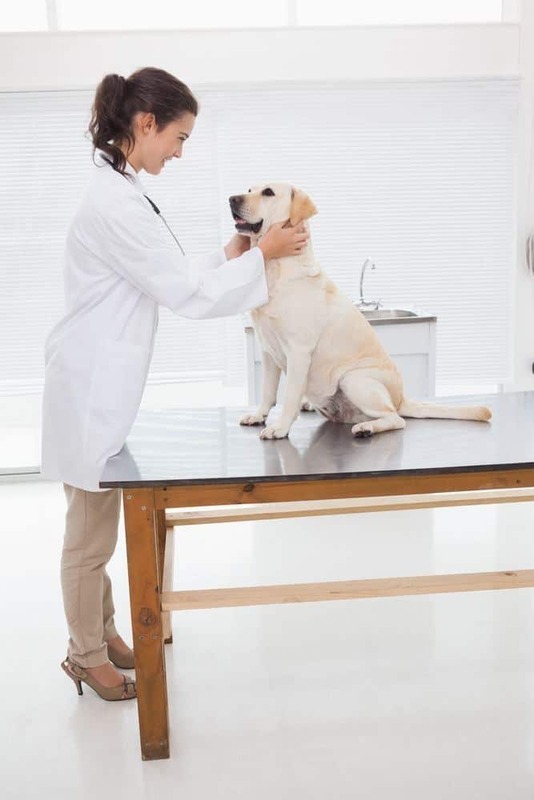 Ask your vet to run all the required tests on your pup to determine what exactly is causing the rapid weight loss. Once you figure out what the problem is, it will be easier for you to find the solution. This is an important step because weight loss can indicate a more significant issue. Consult the vet first and make sure to discuss what would be the best weight for your pup. This is different for every breed and age, and a veterinarian is the best person to help you with it. 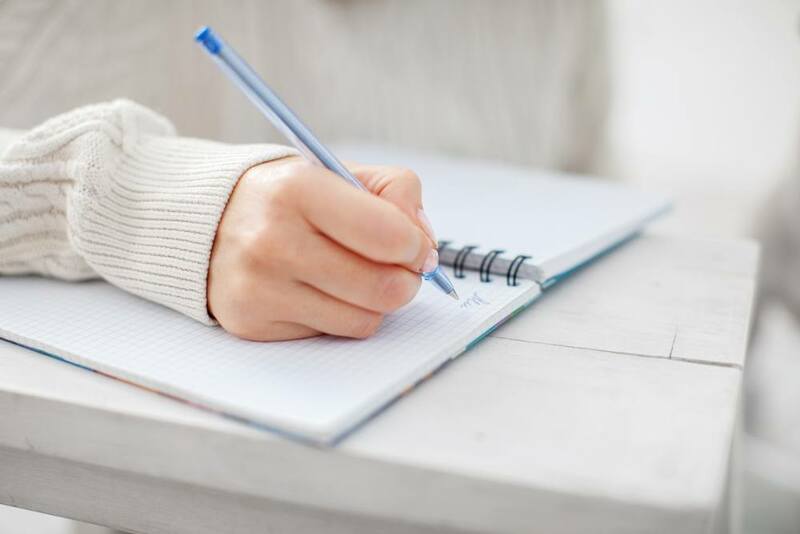 Have you ever heard of a weight journal? It’s similar to what people have to keep, too, when they’re trying to gain or lose weight. This step might seem insignificant especially if you’ve never had to keep a similar journal. However, it’s essential and can help a great deal. In this journal, you should keep track of all the treats and meals your pup eats in a day. Note all the times the canine ran or exercised at the end of every day. It’s also crucial to mark at what time during the day all of this happened. The next time you weight your pup, you’ll be able to go back and see what happened during the week. This will help you notice any patterns and how the hound reacts to them week after week. 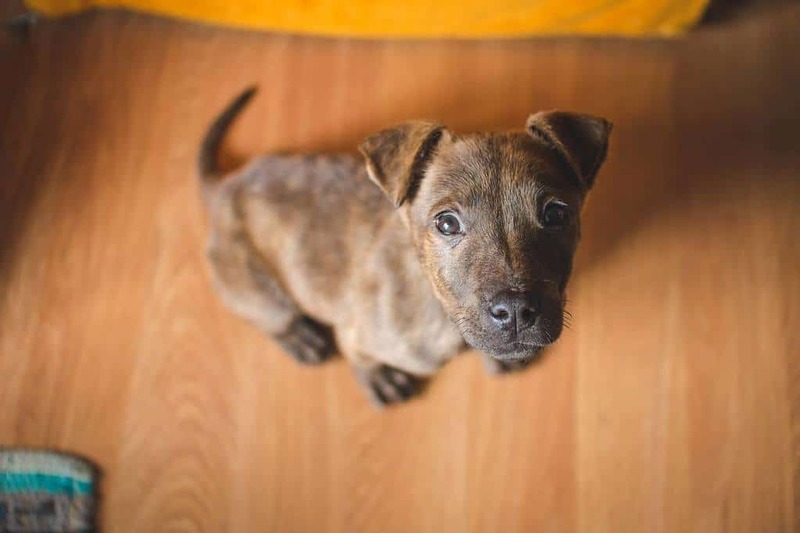 One thing you should remember is to avoid weighing your pup every day. Not much can change from one day to another, so it’s pointless to do this as often. Instead, you should do weekly weigh-ins. This gives your pup enough time to progress and everything more often than that would probably just drive you crazy. Note how much does the pooch weight at the start of your journey. From that point on, check its weight every week and mark any losses and gains over time. This information, along with that in the journal can help you notice all progress and setbacks in the process. It’s similar to when people try to gain/lose weight. Checking the scale too often can make you obsessed with calories and exercise which would be good for neither you nor the canine. Dogs are like people with this and might not finish their meal if they don’t like the taste of it. If you neglect this, they might become rather skinny for no other reason than bad food that they didn’t like. These pups are usually healthy, so they require a unique program that would allow them to gain weight. In this case, you need to focus less on calories and more on overall nutrition. 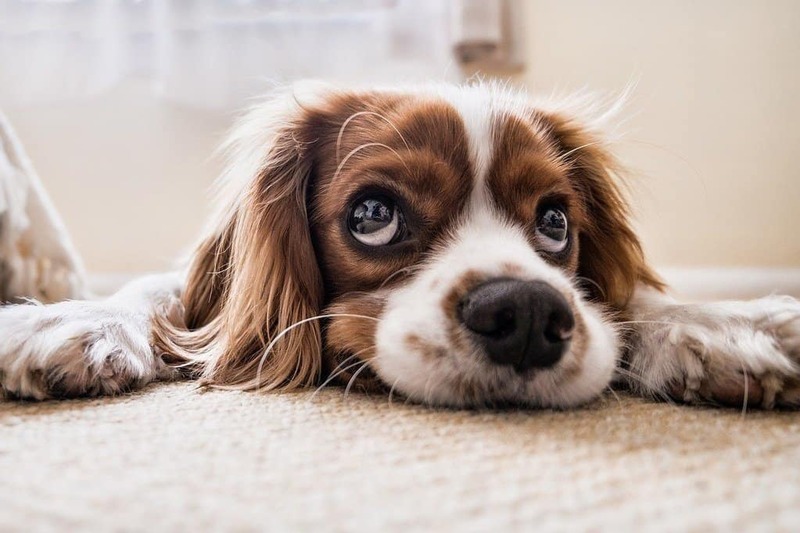 As you know, too many calories in a short time can upset your dog’s stomach and cause different issues such as vomiting. As a matter of fact, there’s been a case study by vet record that dogs nowadays consume a lot of calories. Adding too much fat is also not the answer. This can cause several digestive issues as well such as inflammation of the pancreas. For example, Miniature Schnauzers are dogs that are more on a strict diet. The best is to go slowly and make sure you select the best food that contains vegetables, fruits, meats, and eggs. Avoid by-products and cereal grains which can often be found in different canned food. 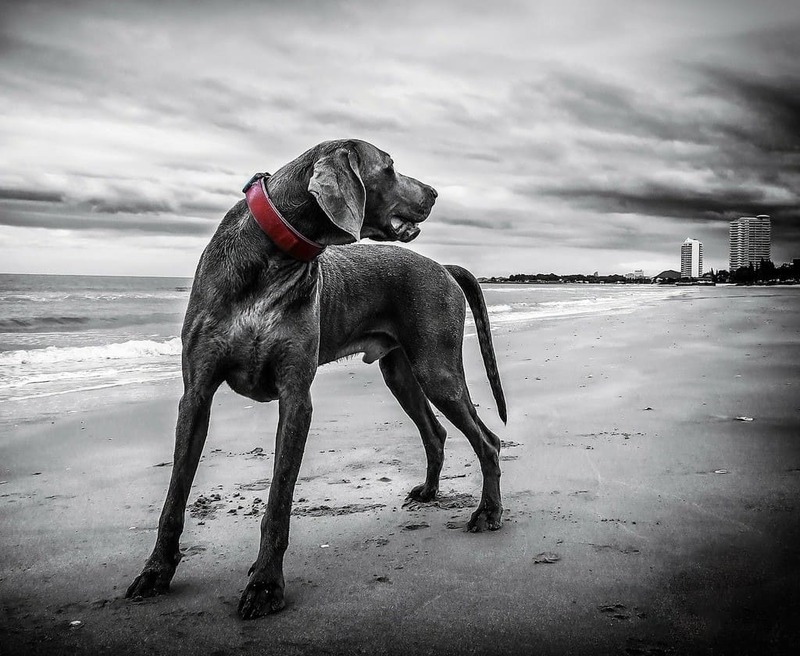 Adult hounds have different needs depending on the breed, activity level, and actual age. First, you need to calculate the Resting Energy Requirements or RER. This is done by multiplying the dog’s body weight in kilograms raised to the ¾ power by 70 to get the calories required by day. Most canines need from 25 to 30 calories per pound each day. However, many factors affect this, and the numbers might be different for every other hound. Figure out if your pet is an athlete, obese-prone, active, inactive, neutered, hunting type, etc. Again, the best is to do this in consultation with your vet. 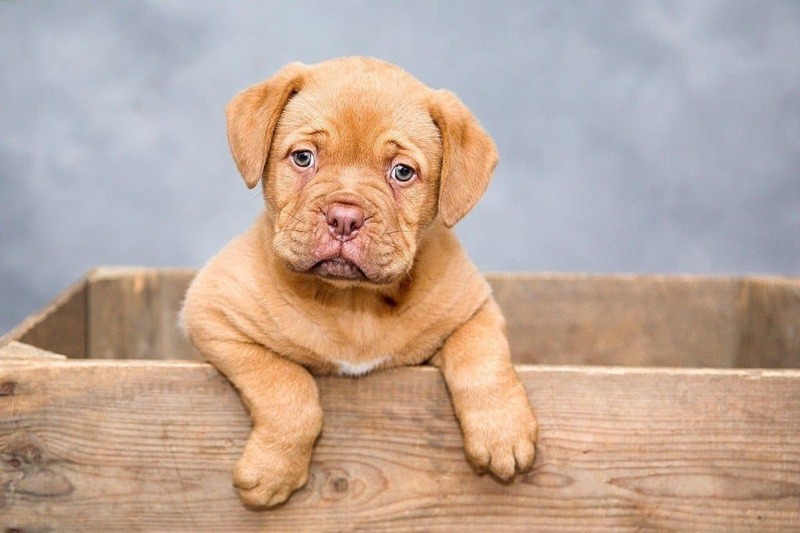 Puppies require a different diet than adults merely because they are still growing and need certain nutrients to help with that. 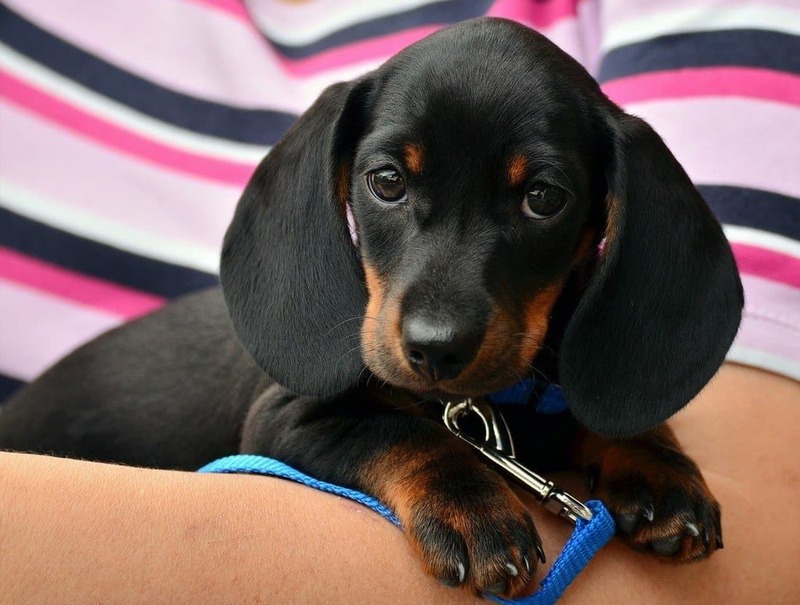 For puppies less than four months old, multiply their RER by 3 to get the number of calories. For pups that are four months to adult should eat 2.0 x RER worth of calories per day. Feeding young ones is something you have to be careful with because their food isn’t the same as that for adults. The reason for this is because puppy foods are about 2% higher in protein. Plus, protein has four calories per gram, so feeding too much could cause obesity. This one comes in different sizes from 4lb to 37.5lb which is great if you’re trying it for the first time. Choose the small bag first to see if your pup likes it or not before you buy a larger pack. The number one ingredient is chicken, but it also contains brewers rice, corn gluten meal, whole grain corn, fish meal, fish oil, corn germ meal, and dried egg product. The food contains 30% protein and 20% fat that help dogs build lean muscle and maintain the desired weight. It’s also rich in amino acids that help nourish and build muscles naturally. All bags have charts at the back so you can consult with it to figure out the amount you should feed your pet. It’s only recommended to athletic adults or highly energetic puppies since it has 496 calories per cup. The food has a pleasant smell and tastes equally as good, so it’s highly unlikely any hound will leave its bowl unfinished. 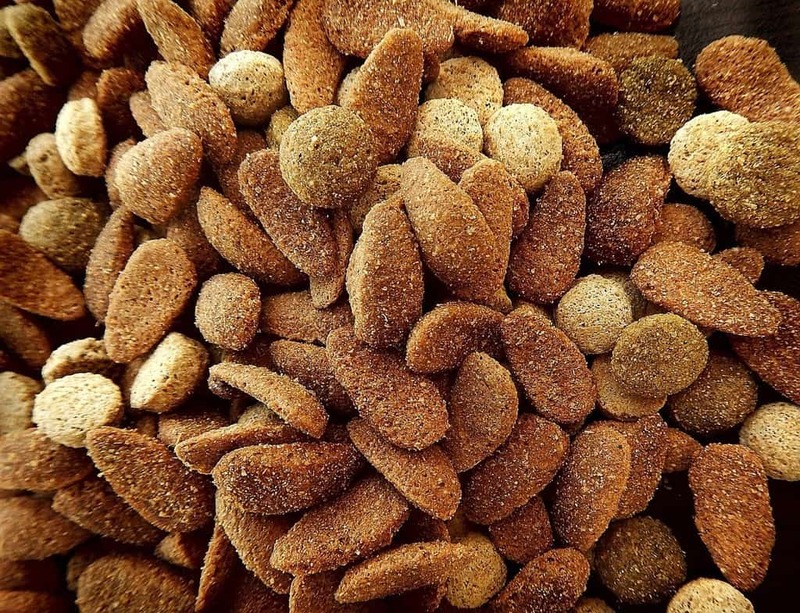 This is a grain-free option for balanced diet suitable for dogs that need to gain weight. It’s rich in proteins from turkey and chicken that are the main ingredients of this tasty dry food. It also contains vegetables that provide essential minerals and vitamins needed for healthy growth. The Wellness Core has about 80% more meat than most dry food, so it’s often recommended to highly active dogs. Also, this one doesn’t have any corn, wheat, soy, artificial colors, meat by-products or artificial flavors. It’s a natural product that’s made and packed in the USA. It has omega fatty acids, antioxidants, probiotics and other ingredients required for healthy weight and muscle gain. However, you need to take time with it because it features such high levels of protein. It takes a few days, so make sure to mix it with the old food for about five to seven days. After that period, you can switch to Wellness Core completely. This is specially made for powerful and active pit bulls, but it’s safe for other dogs, too. The food has 535 calories per cup so the breeds can grow quite quickly. It comes in four different sizes to choose from depending on how many pets you have. It’s a meat based formula with 30% protein and 20% fat. This gives hounds a chance to build muscle rather than just get fat. On top of that, it doesn’t contain any artificial colors, preservatives or ingredients that might do harm. There’s no soy, wheat or corn either so the chances of allergic reactions are almost none. This is probably the only food in its class that has real meat as the main ingredient. One of the best things about this product is that it’s safe to give to pregnant and nursing dogs. It works with all breeds for dogs that are four weeks or older. This is one of the most long-lasting brands in the industry. It has 370 calories per cup which is more than enough for muscle and weight gain. It features real meat, fruit, and vegetables providing all the antioxidants your dog needs for healthy growth. This is one of the few brands that use peas and sweet potatoes, too. It comes in different sizes and flavors to choose from based on the breed you have. Overall, the brand tries to deliver the kind of diet your pet would have in the wild. Choose from duck, beef, bison, venison, salmon, boar, and many more flavors. The Taste of the Wild is grain-free and suitable for all breeds and ages. You can feed it to puppies as well as senior dogs, but make sure to consult with the chart at the back of the packaging. The Wilderness Rocky Mountain recipe features red meat with no grain. However, it’s for adults and shouldn’t be fed to puppies. The food contains real meat as the first ingredient, and you can choose from beef, venison, and lamb. All are rich in protein and great for pets that have to gain weight and muscle. The food has antioxidants from vegetables and fruits. This can also help your hound develop new and shiny fur thanks to the Omega 3 and 6 fatty acids. The minerals and vitamins support your pet’s immune system and help maintain all gained weight. It’s also important to note that there isn’t any corn, soy or wheat. 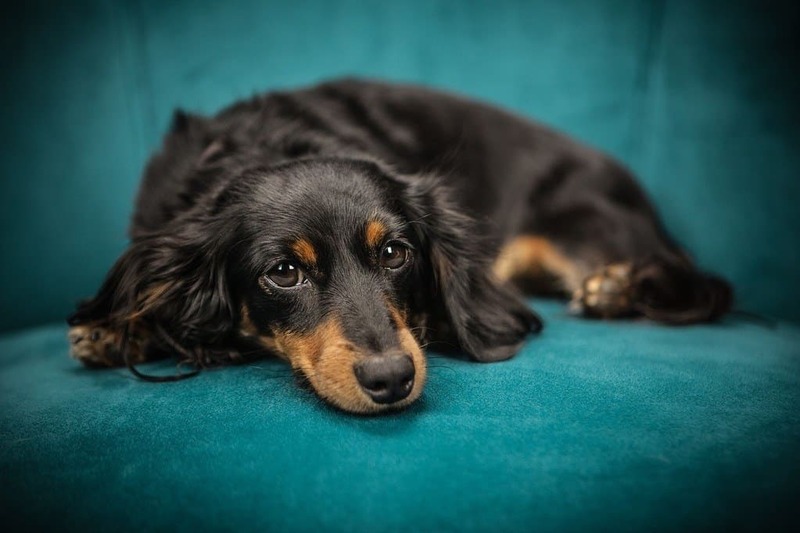 Though the food is suitable for all breeds, it’s usually only recommended to underweight dogs. Because of the high-calorie levels, it’s not recommended to those younger than four weeks. The first ingredient here is deboned lamb to help your pup gain weight and build muscle. Also, you can continue feeding it even after the desired weight is achieved to maintain it at that level. The food also contains whole grains, fruits, and vegetables. 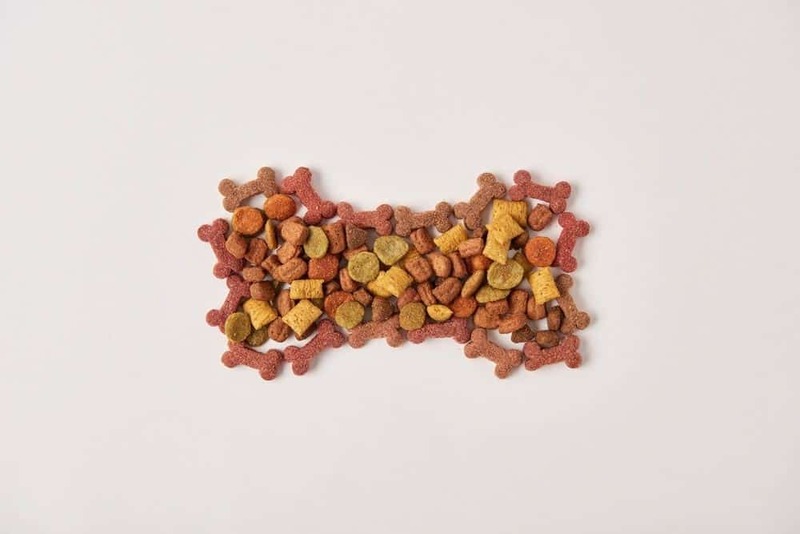 It has all the essential vitamins, proteins and carbohydrates to help your pet gain energy. The Omega 3 and 6 fatty acids promote healthy fur and skin with all breeds. This product is unique because it features LifeSource Bits. 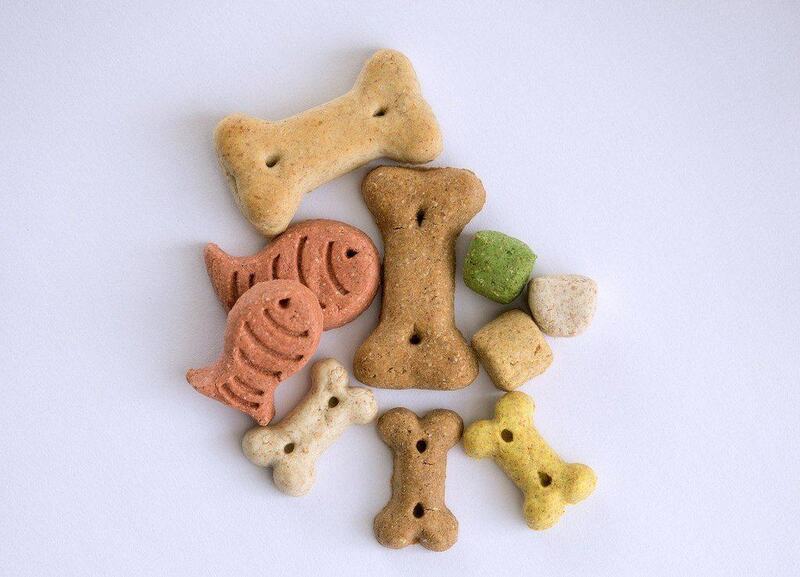 These are kibbles made from a blend of vitamins, antioxidants, and minerals. 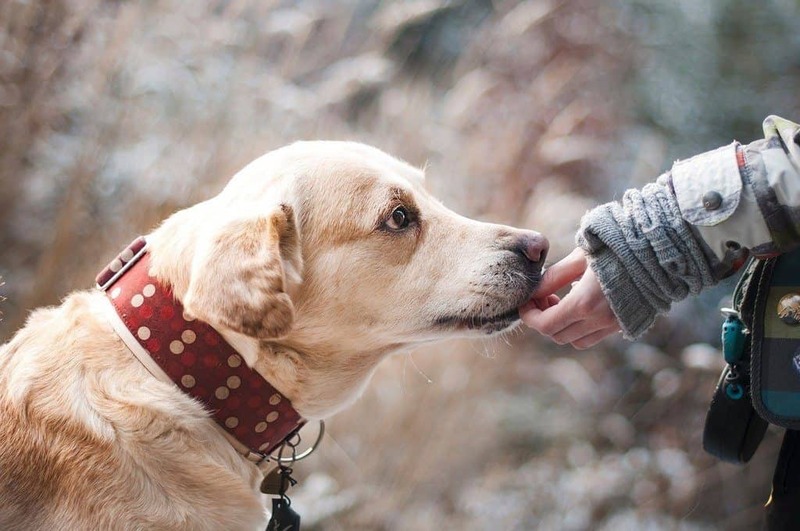 LifeSource Bits help your pup maintain a strong immune system for a healthy lifestyle. It doesn’t contain any chicken byproducts, wheat, corn, soy, preservatives or other artificial ingredients that could harm your pet. All the ingredients are natural and carefully selected to help your dog gain and maintain the desired weight. Another natural option is the Nature’s Logic dog food. It’s packed with different ingredients that help your dog build muscle and mass rather than just gain weight. However, the only size it comes in is a 4.4-pound bag. This is a family-owned brand that’s been around for a while. It’s reliable and proven to help hounds gain weight after a rapid weight loss due to illness. The food doesn’t feature any soy, wheat, corn, or rice that could cause possible allergic reactions. Instead, the ingredients are providing essential vitamins, minerals, and nutrients to help keep your pet healthy and fit. It provides albumin and globulin proteins which help with building muscle instead of just gaining weight. It’s recommended to underweight dogs because it’s lightweight and won’t cause any big jumps in weight. It’s great for all breeds and sizes, but you’d have to think this one through because of the size of the bag. You first have to consider which one your dog prefers. Some hounds don’t like kibble unless you mix it up with some wet food, so it’s best you experiment until you figure this out. 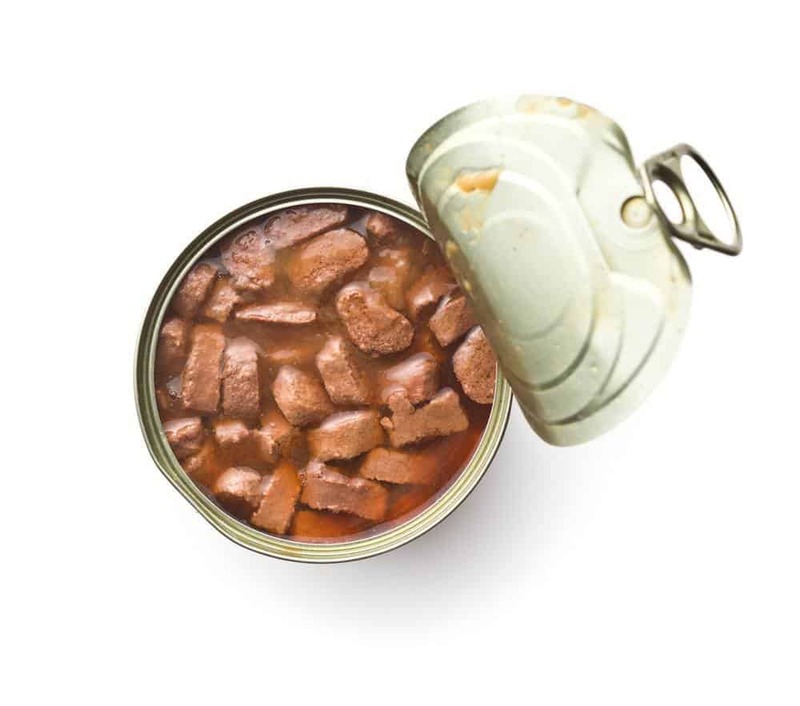 Many people feel that canned is usually superior to kibble. It contains more meat protein and has fewer carbohydrates. Canned food is packed in air-tight cans, so it doesn’t feature any synthetic preservatives. All the meat ingredients are usually closer to their natural state if you opt for a reliable brand of quality product. These are also more filling because they are higher in meat protein. Canned food is also easier to chew which is great for puppies and senior dogs that would otherwise struggle with kibbles. The downside is that some dogs might eat their meal too quickly which can cause bloating. Also, if you leave wet food in the bowl for more than two hours, it will develop bacteria that can mess up your dog’s overall health. 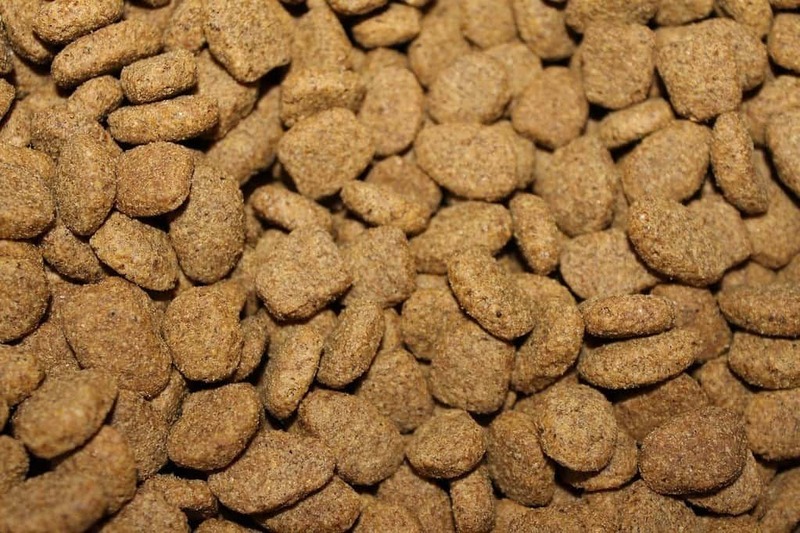 Dry food is better for dogs that eat fast because they would have to chew it as opposed just to swallow. Though it’s not as rich in protein and isn’t as filling as wet food, kibble can stay in a bowl for hours at the time. 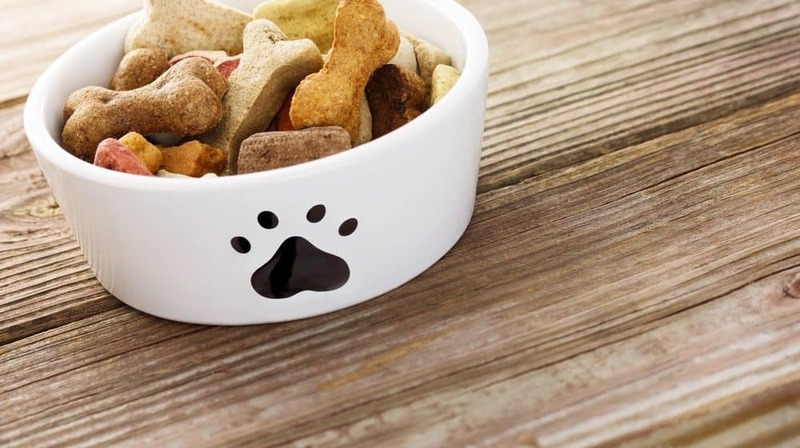 This allows your dog to take breaks and come back to their meal whenever they want. Also, nothing is more convenient than dry kibble. These are simple to use, and you won’t have to wash the bowl after each meal which is great if you’re often in a hurry. Dry food is usually more affordable, too. 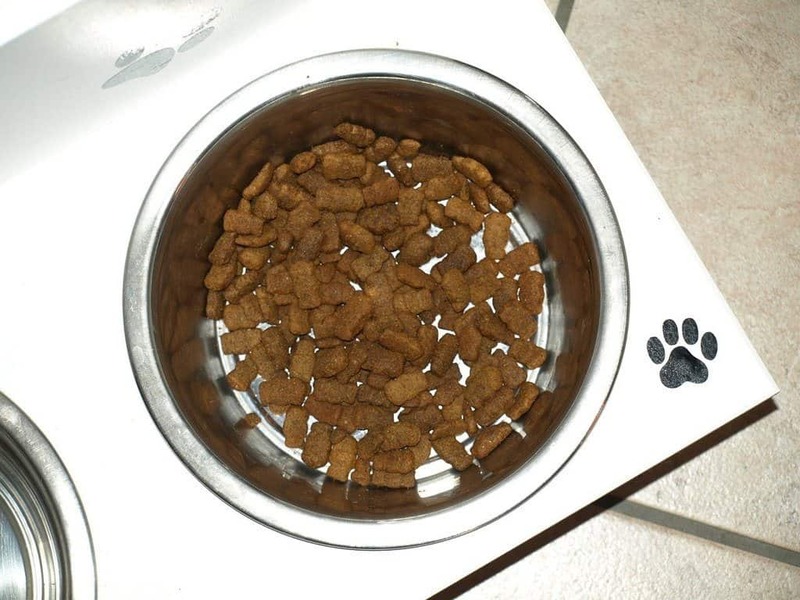 Homemade dog food is another option for when you run out of canned or kibble. It’s also a great way to make sure your pet gets natural ingredients from the meal you made yourself. However, you have to make sure that the food you make is well-balanced and contains all the nutrients your pooch needs. Puppies need about 25% protein while adults need 18%. 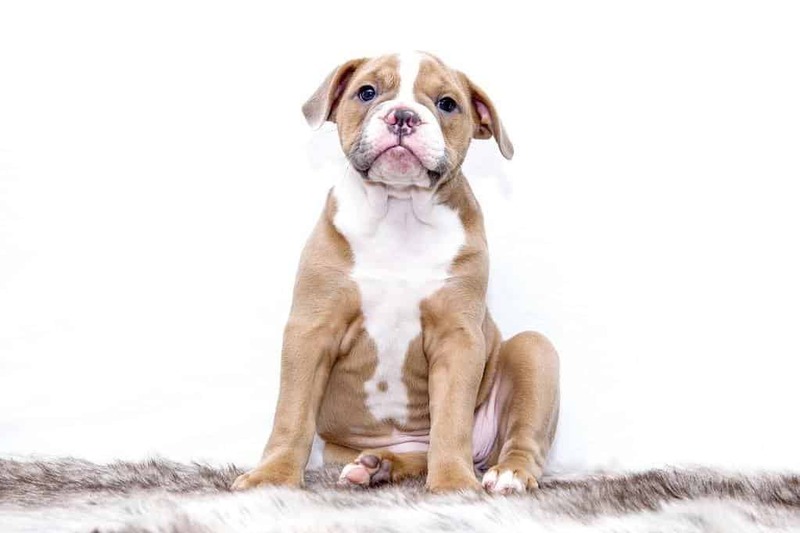 These numbers may differ depending on the age and breed, so make sure to check with your vet what should be the best for your pup. 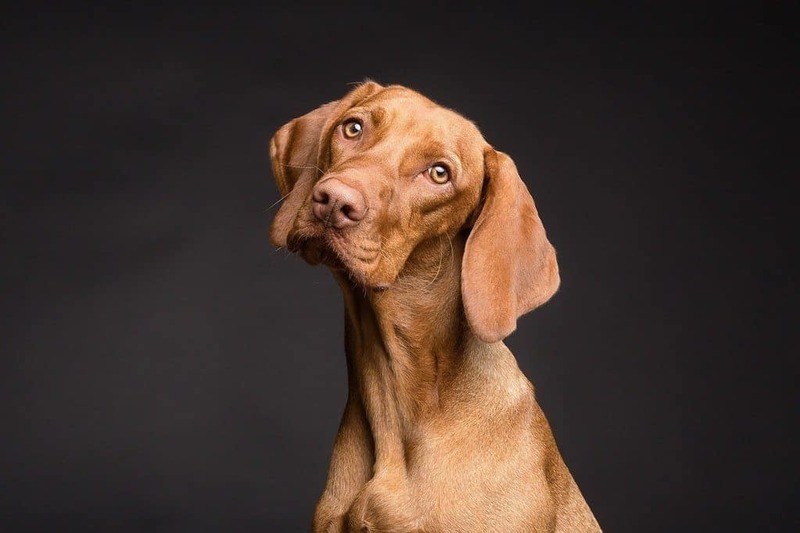 If you want to make this type of diet constant for your pooch, consult with the vet first so you can determine the exact amount of protein you should include. Also, don’t forget to weight the pup every week. There are many recipes online that you can try out using different natural ingredients. However, it’s important to pay attention that the recipe is vet approved. 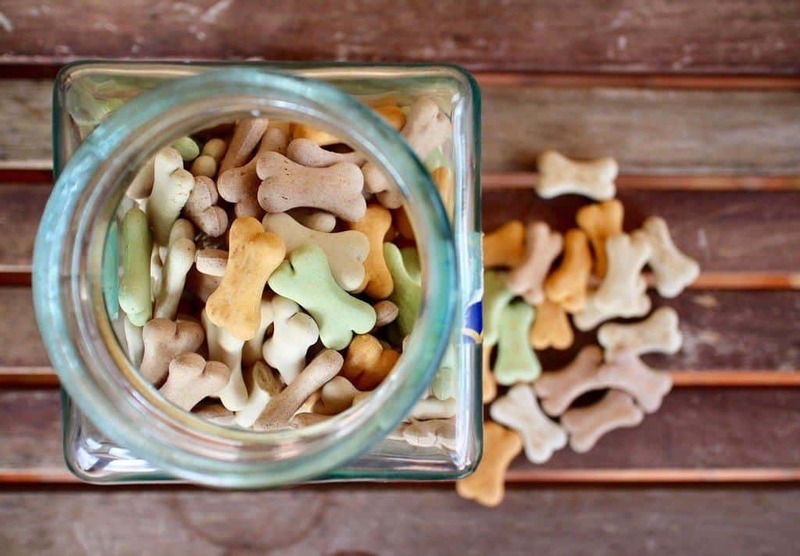 If you’re planning to make homemade, make sure your pet avoids these 4 human foods. Dietary supplements are normal for people but did you know these existed for dogs, too? 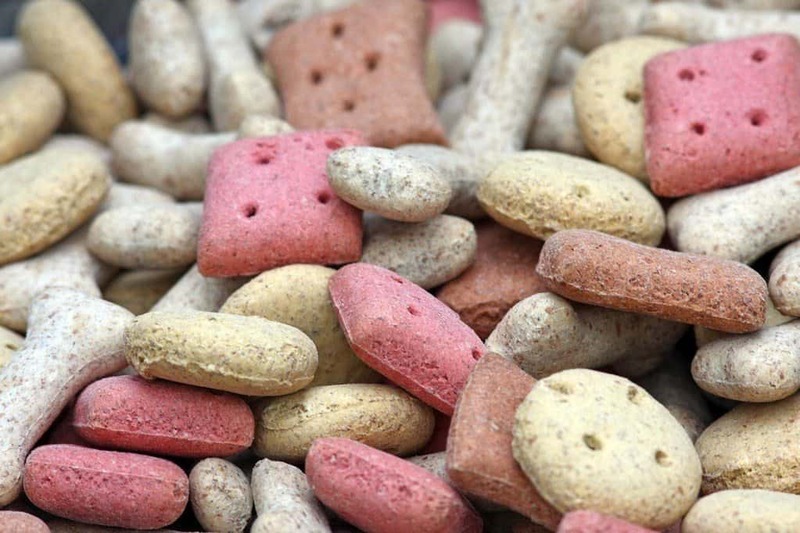 Dietary dog supplements have been around for years now and are entirely safe to use. In most cases, you shouldn’t do it on your own without consulting a vet. There are many different supplements to choose from on the market. The idea is to use the same food you’ve used all the time, but you’d now add the supplement to it. It’s also crucial you’re careful about where you buy this. Make sure to follow the instructions and keep weighing your to see the progress. If you think your pup is hypoallergenic, you should consult with your vet immediately. 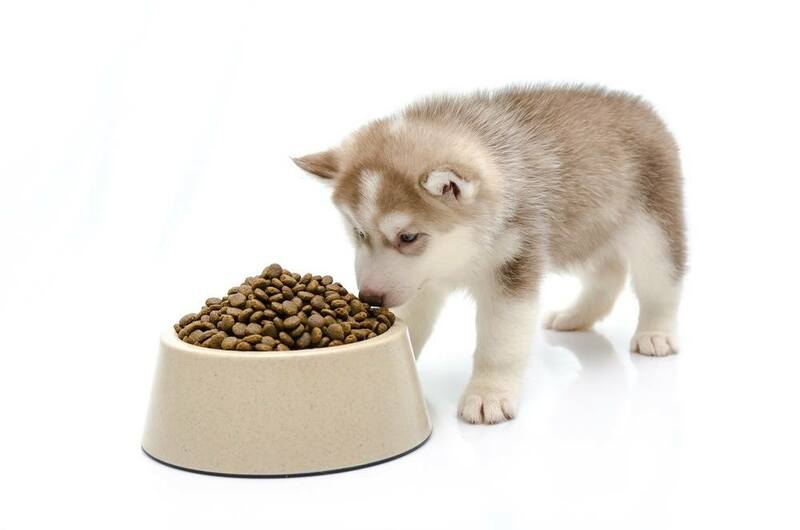 Hypoallergenic dog foods are usually prescribed by vets, but you can buy them at online pet stores, too. These have proteins that are chemically split into amino acid building blocks. This makes allergens invisible to a dog’s immune system. Yes. 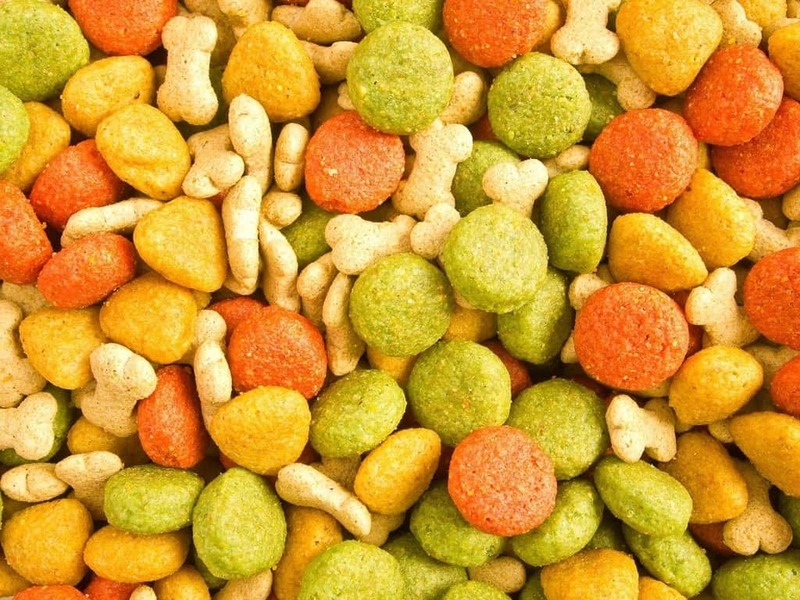 You can choose from the many high-calorie dog treats that are available on the market. The best place where you can purchase them is Amazon due to a wide variety of choices. Foods high in calories are a good choice in many different situations. If your dog is recovering from an illness where it suffered rapid weight loss, high-calorie diet can help it gain some back. Some hounds are more active than others in which case they also need more calories. This is a diet you should switch to after consulting with your vet and doing several tests on your dog to see at what state is its overall health. These high-calorie foods we reviewed are current top choices that the market has to offer. They are made from quality ingredients and come from reliable brands that have many years of experience. However, keep an eye on your dog as you switch to high-calorie diet. As we mentioned in our guide, keep track of everything and watch for any change in behavior good or bad. 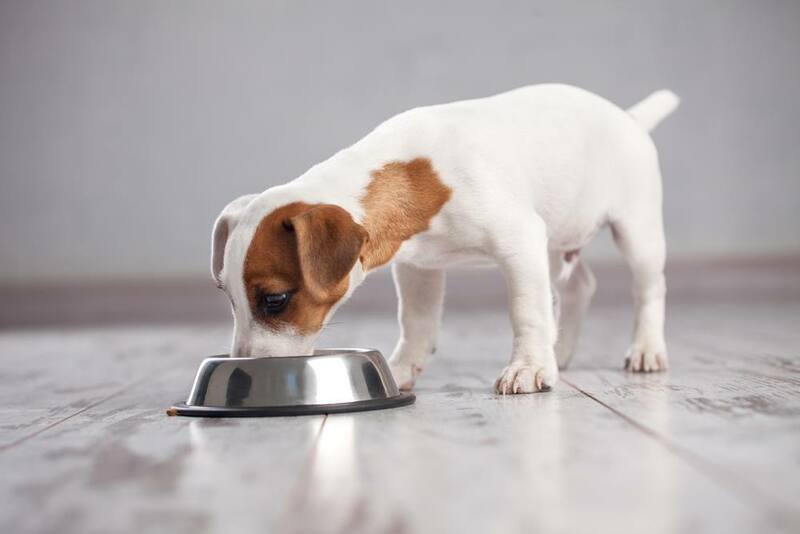 This way, you can tell how the pooch reacts to new food and whether its weight is improving.